A band of caravan guards, formed from the remnants of a decimated military legion. 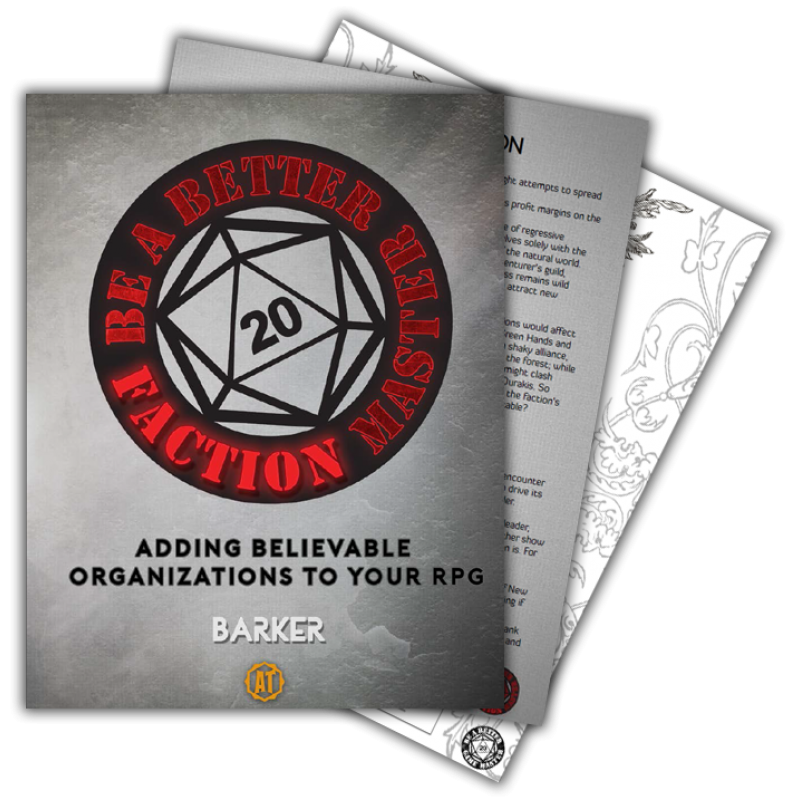 An organization of archaeologists, dedicated to the reclamation of ancient religious relics before they're destroyed by a vicious war. A revolutionary group, returned to usurp the greedy politicians who have recently come to power. 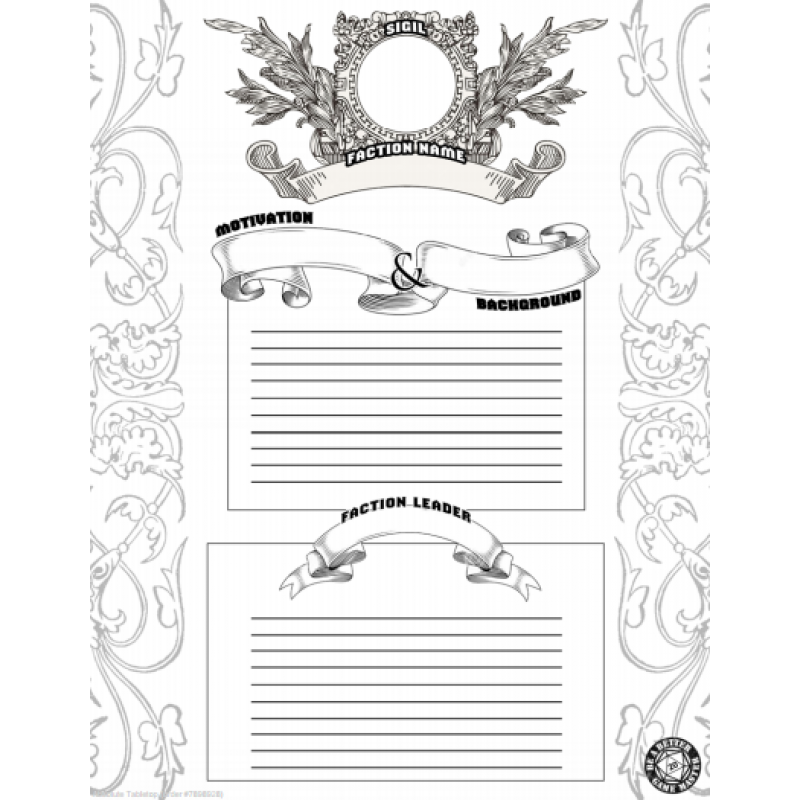 Only a master storyteller can weave these factions into a tale for the ages - and that's where you come in. 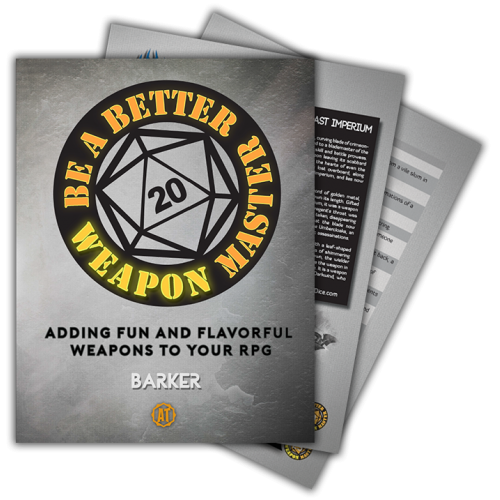 Written by Barker of Be a Better Game Master, this supplement offers you, the Game Master, the tools and inspiration needed to introduce fun and realistic factions into your favorite roleplaying game. 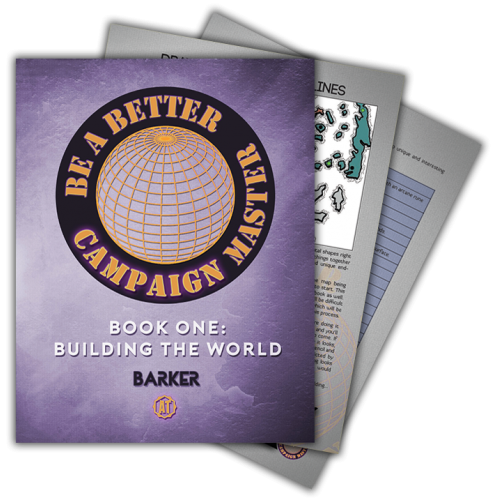 Inside, you'll find pages of useful advice, a useful faction-building worksheet, and streamlined faction-generators to help you create an endless amount of factions for your world. 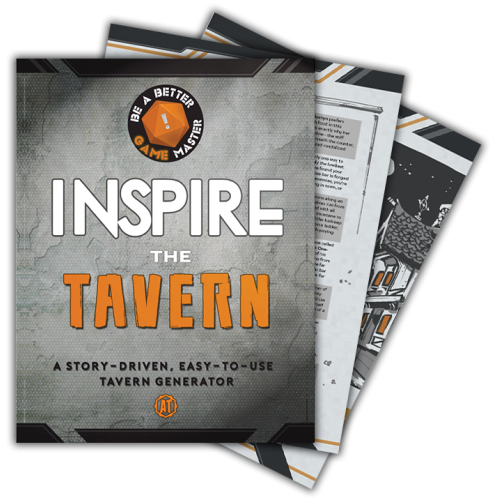 19 pages of inspiring content. A simple, five-step process to creating a great faction. 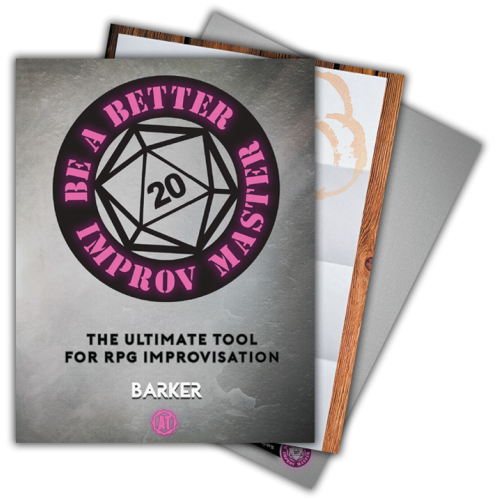 A streamlined faction-generator, allowing for nearly 5,000 unique combinations! 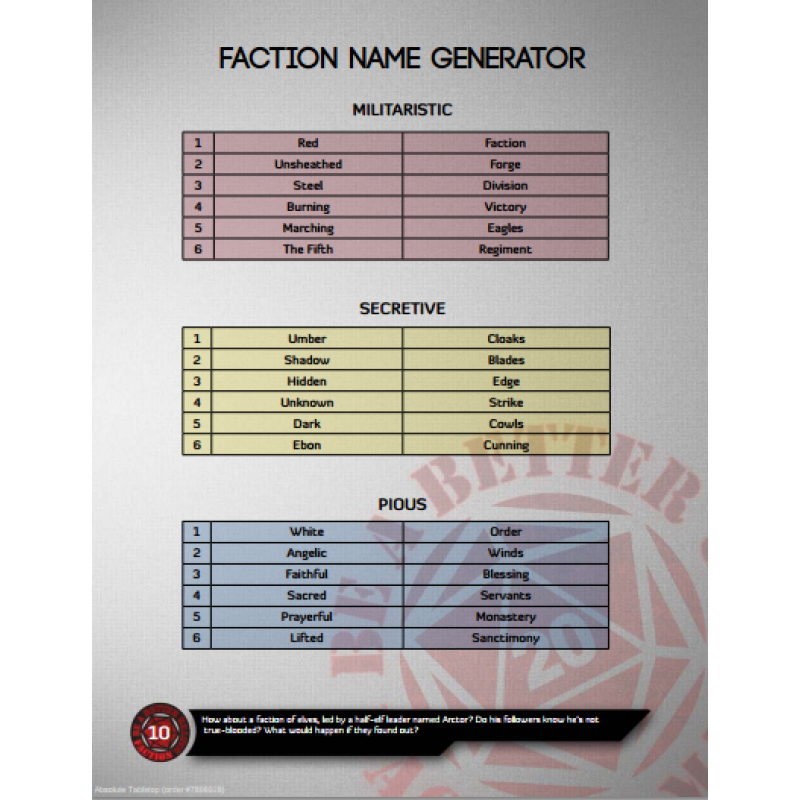 A massive faction name-generator, containing hundreds of names divided into 21 uniquely-themed categories. 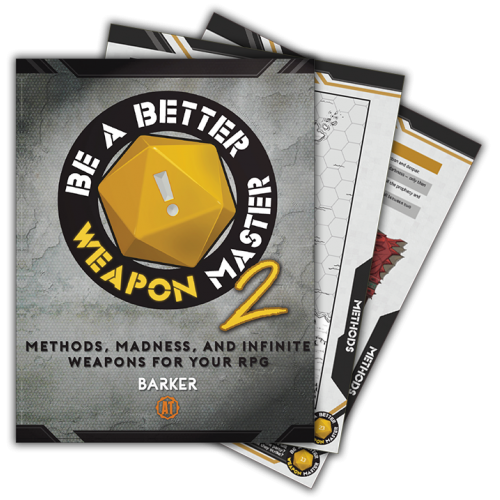 12 intriguing faction leaders, ready to take control of the organizations in your game world. 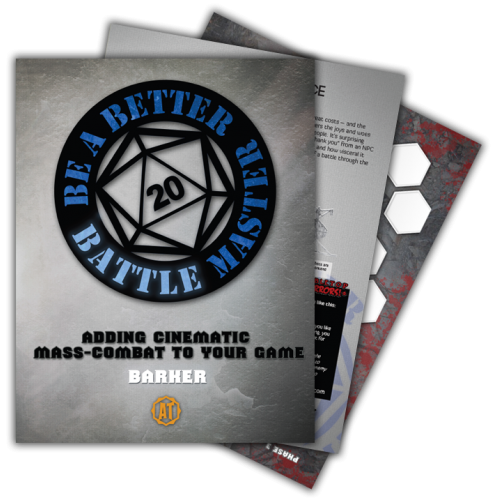 Combine with Be a Better Battle Master to create faction conflicts your players won't soon forget! 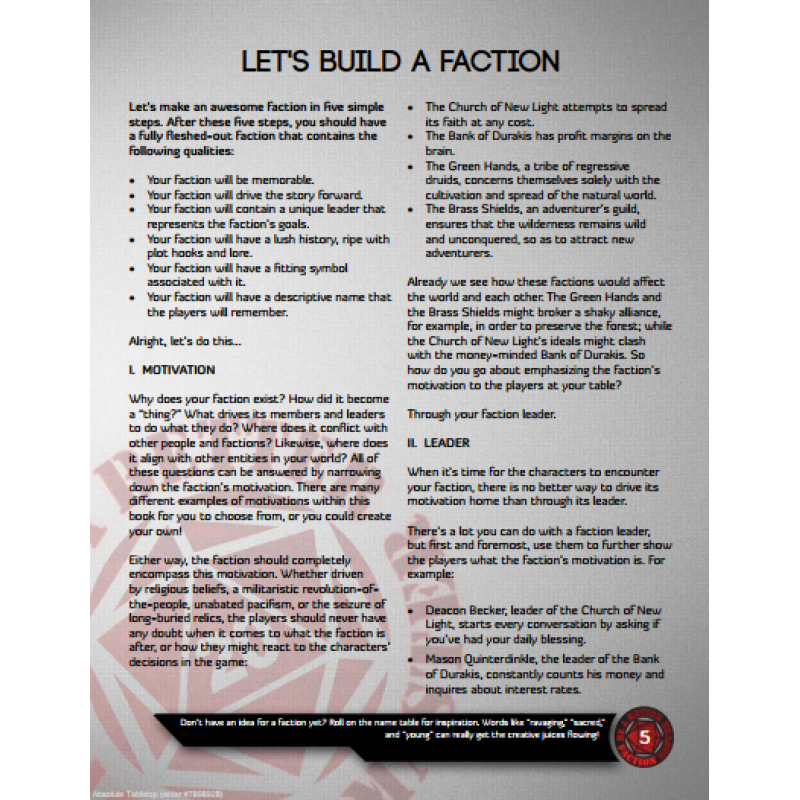 Raise your banners - there's a faction to be built!